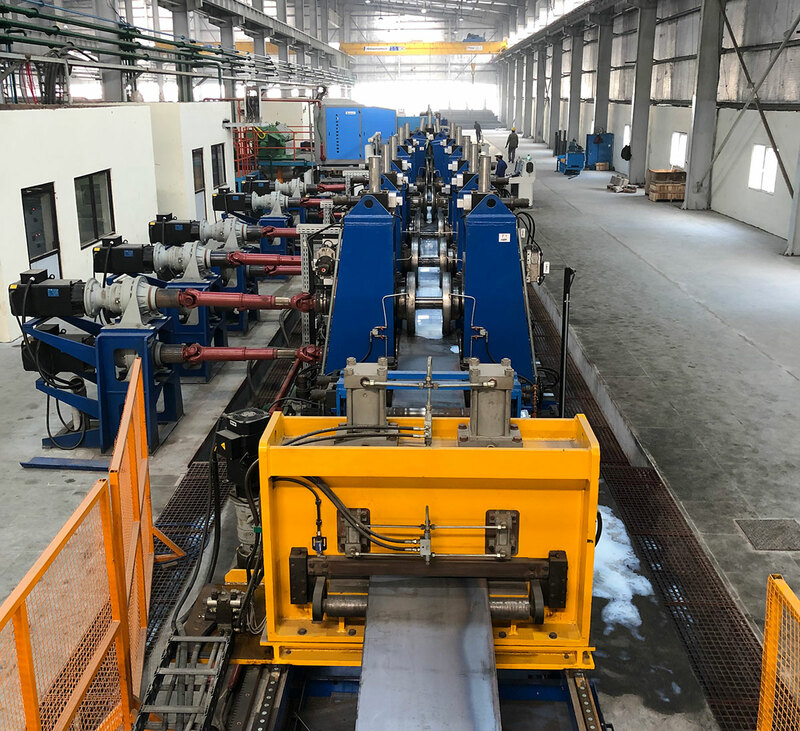 Olimpia 80 srl Italian manufacturer of tube mills, installed successfully in India to the company APL APOLLO three complete tube mills with the patented technology “cage forming for square and rectangular tubes” for carbon steel materials. The smallest can cover the section range from 20x20 up to 60x60 mm, up to 4 mm max thickness. The medium line, can cover the range form 30x30 up to 80x80 mm, up to 6 mm max thickness. The biggest, can cover the range form 80x80 up to 200x200 mm and the max thickness 10 mm. All of these lines are fully automatic and are a part of the complete range of products of Olimpia 80 manufacturing program. Others different installations are recently finalized in Mexico, Chile and Romania for different sizes of carbon steel tube mills. Particularly a tube mill mod. 60/90 can produce hot & cold rolled carbon steel tubes having a yield strength of max. 1200 MPa and an ultimate strength of max. 1600 MPa, in accordance of standard specification ASTM 513 has recently installed in Mexico. The mill covers a production range from OD 12.7 mm up to OD 63.5 mm, WT 0.6 => 4.0mm, max. and speed up to 140 m/min. Mentioned tube mill is equipped with Automatic cut-off machine by friction saw and cold saw (HSS & TCT). Thanks to the innovative gear box the passage from cold saw cutting process to friction saw is extremely rapid and fast in total safety execution without replace nothing except the kind of blade and select on operator desk control.